Hillary Clinton's long-awaited memoir, "Hard Choices" isn't scheduled to officially be released until June 10, but CBS News purchased a copy at a bookstore. 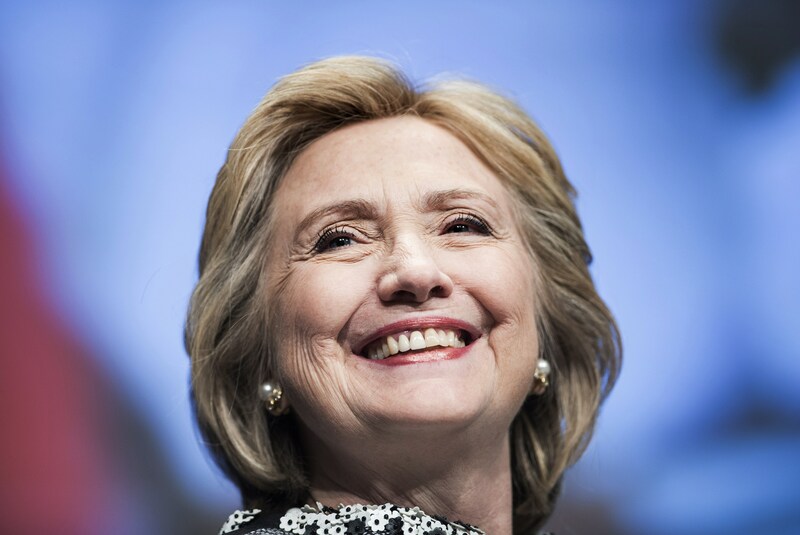 As she mulls a potential presidential campaign, the book, published by Simon & Schuster, which is owned by CBS Corp., offers rich detail of her four-year tenure as secretary of state on issues such as Benghazi, U.S. relations with Russia, shifting strategy in Afghanistan, the fallout from the Arab Spring and the worsening chaos in Syria. She touches on negotiations with the Taliban and attempts to secure the freedom of Sgt. Bowe Bergdahl, whose recent release has been the subject of a growing controversy for the White House. "I acknowledged, as I had many times before, that opening the door to negotiations with the Taliban would be hard to swallow for many Americans after so many years of war," she continued. She also offers a window into the other aspects that will inevitably factor into any potential campaign -- from the professional, like her relationship with President Barack Obama and scuffles with his White House aides -- to the personal, like the "elaborate diplomacy required" to help plan her daughter's wedding. Her chapter on the deadly 2012 attacks in Benghazi, Libya, where she took a defiant tone about the multiple congressional investigations into the attacks, was widely reported last week. She concluded, "There will never be perfect clarity on everything that happened. It is unlikely that there will ever be anything close to full agreement on exactly what happened that night, how it happened, or why it happened. But that should not be confused with a lack of effort to discover the truth or to share it with the American people." "We watched on the video feed as the SEALs improvised, sweeping through the courtyard of the compound and heading inside to look for bin Laden. Contrary to some news reports and what you see in the movies, we had no means to see what was happening inside the building itself. All we could do was wait for an update from the team on the ground. I looked at the President. He was calm. Rarely have I been prouder to serve by his side as I was that day. "After what seemed like an eternity, but was actually about fifteen minutes, word came from [Admiral William] McRaven that the team had found bin Laden and he was 'E-KIA,' enemy killed in action. Osama bin Laden was dead." Those making that argument "should ponder how much more serious the crisis would be - and how much more difficult it would be to contain further Russian aggression if Eastern and Central European nations were not now NATO allies. The NATO door should remain open, and we should be clear and tough-minded in dealing with Russia." "He also proved over time to be thin-skinned and autocratic, resenting criticism and eventually cracking down on dissent and debate..."
The "reset" button origins: "[I]t was not the finest hour for American linguistic skills. But if our goal had been to break the ice and make sure no one would ever forget the reset, then our translation error had certainly done that." Syria is a "wicked problem"
"Wicked problem ... a term used by planning experts to describe particularly complex challenges that confound standard solutions and approaches. Wicked problems rarely have a right answer; in fact, part of what makes them wicked is that every option appears worse than the next. Increasingly that's how Syria appeared." On whether to arm Syrian rebels: "I returned to Washington reasonably confident that if we decided to begin arming and training moderate Syrian rebels, we could put in place effective coordination with our regional partners." "[M]any Senators came to wish they had voted against the resolution. I was one of them. As the war dragged on, with every letter I sent to a family in New York who had lost a son or daughter, a father or mother, my mistake become (sic) more painful." "I thought I had acted in good faith and made the best decision I could with the information I had. And I wasn't alone in getting it wrong. But I still got it wrong. Plain and simple." She wrote that she was asked abroad if people could still trust the U.S. economy: "The answer I gave was, of course, yes. I said that I was confident a deal would be reached. Privately I crossed my fingers and hoped it was true. ... The secretary of state shouldn't have to publicly reassure people in other nations that we'll pay our debts. Period." "In 2009, there was no denying that our country's approach to human rights had gotten somewhat out of balance. On his second full day in office President Obama issued an executive order prohibiting the use of torture or official cruelty by any U.S. official and ordered the closure of Guantanamo Bay (a goal that has not yet been achieved). He pledged to put human rights back at the heart of our foreign policy"
Condoleezza Rice: "She made just one request: Would I keep on her driver? I agreed and soon became as dependent on him as Condi had been. ... Her advice about what I should expect in my new role proved very helpful." George Shultz: "But it was George Shultz who gave me the best gift of all: A teddy bear that sang 'Don't Worry, Be Happy' when its paw was squeezed. I kept it in my office, first as a joke, but every so often it really did help to squeeze the bear and hear that song." On her secret meeting with Obama before the 2008 Democratic convention: "We stared at each other like two teenagers on an awkward first date, taking a few sips of Chardonnay. ... both Barack and I and our staffs had long lists of grievances. It was time to clear the air. ... One silver lining of defeat was that I came out of the experience realizing I no longer cared so much about what the critics said about me." Sarah Palin: After Palin was selected to be John McCain's running mate in 2008, Clinton wrote, "[The Obama camp] immediately issued a dismissive statement and reached out to me in hopes I would follow suit. But I wouldn't. I was not going to attack Palin just for being a woman appealing for support from other women. I didn't think it made political sense, and it didn't feel right. So I said no..."
On Vice President Joe Biden: "Vice President-elect Joe Biden brought a wealth of international experience from his leadership of the Senate Foreign Relations Committee. His warmth and humor would be very welcome during long hours in the White House Situation Room. Every week, Joe and I tried to meet for a private breakfast at the Naval Observatory, his official residence, which is near my home. Always the gentleman, he would meet me at the car and walk me to a sunny nook off the porch, where we would eat and talk. Sometimes we agreed, sometimes we disagreed, but I always appreciated our frank and confidential conversations." On former Defense Secretary Robert Gates: On Robert Gates: "He was also a convincing advocate for giving diplomacy and development more resources and a bigger role in our foreign policy ... we became allies from the start." Jet lag: "When I had to stay awake during meetings or conference calls, I drank copious cups of coffee and tea, and sometimes dug the fingernails of one hand into the palm of the other. It was the only way I knew to cope with the crazy schedule and the fierce jet lag." Chelsea's wedding: "On the plane home from Hanoi, with my head still full of South China Sea drama, it was time to turn my attention to other urgent business. We were just over a week away from what would be one of the most important events in my life. ... This time it wasn't a high-level summit or a diplomatic crisis. It was my daughter's wedding, a day I had been looking forward to for thirty years." "As mother of the bride, I was delighted to help in every way I could, including reviewing photographs of flower arrangements from the road and making time for tastings and dress selections back home. I felt lucky that my day job had prepared me for the elaborate diplomacy required to help plan a big wedding." "Bill was as emotional as I was, maybe even more so, and I was just glad he made it down the aisle in one piece. ... Afterward Bill danced with Chelsea to 'The Way You Look Tonight.' It was one of the happiest and proudest moments of my life. So many thoughts went through my head. Our family had been through a lot together, good times and hard times, and now here we were, celebrating the best of times."